I have been working with chiropractors and osteopaths for a number of years now and always wondered why some patients needed to go back for more adjustments so many times per year. During my research to find out the answer I came across Professor Rothbart’s work on hyperpronation and the relationship between the feet and posture. 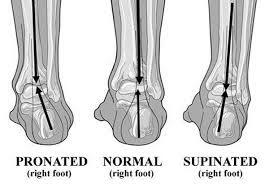 Basically, if you are born with a defect of the feet, as many people are which causes hyperpronation (a leaning of the body), then this will affect the spine and your posture. This will result in many of the symptoms that you go to a chiropractor for – low back pain, knee pain, neck pain, muscle pains and an increased propensity for musculoskeletal injuries. 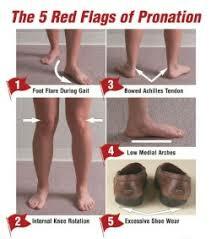 Headaches, plantar fasciitis, shin splints, blisters and calluses are all common problems of hyperpronation. As we age and become more sedentary our muscles become weaker it becomes harder to maintain the body as upright as possible – this is called hyperpronation. Over time the body moves toward a collapsing posture – bio-implosion: a forward leaning posture, head forward of the spine, rounded shoulders, forward rotated pelvis, knees travelling inward, collapsing ankles, and an unstable gait. All of these changes are visible. Some are less pronounced than others, but to the experienced observer it is obvious. More than three decades ago, Dr. Brian Rothbart DPM was running a very successful surgical podiatry practice in California. He too was seeing too many of his patient’s redeveloping the problems that were corrected during surgery. Dr. Rothbart started thinking laterally and by combining biomechanics and 21st Century 3-D computer modeling he described the complex motion of the bones in the foot and lower extremity during normal gait and was able to clearly demonstrate the mechanics of hyperpronation. Noting that as many infants hyperpronate, as do children and adults, Dr. Rothbart suspected that it was a congenital problem and not a condition developed during childhood as he noted that many infants and children were hyperpronaters. In further studying clinical feature on the development and growth of the fetus, Dr. Rothbart was able to fully explain the origin of hyperpronation and support all his biomechanical findings. Now that he had discovered the cause of the hyperpronation, the tools to correct it became evident, and he was able to give up surgery for something a lot simpler. These foot mechanics have now been named after him, “Rothbart’s Foot Structure” (RFS). At the Da Vinci Holistic Health Centre we can examine the patient for RFS and find the solution to these chronic problems by fitting Posture Control Insoles (PCI). We have worked with athletes with amazing success to their performance and efficiency, as well as many other chronic pain conditions. Dr. Georgiou has been trained by Prof. Rothbart in the safe fitting of proprioreceptor insoles for Primus Metatarsus Supinatus (PMS) foot types. 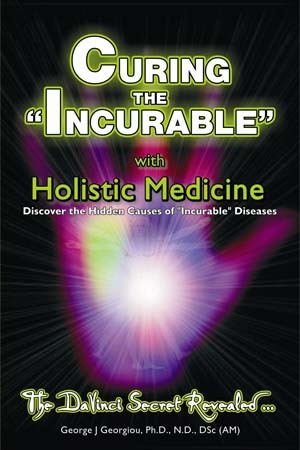 This entry was posted in Diagnostics, Treatments by Dr George Georgiou. Bookmark the permalink.